I love to cook but lately with a newborn that hasn't really happened. 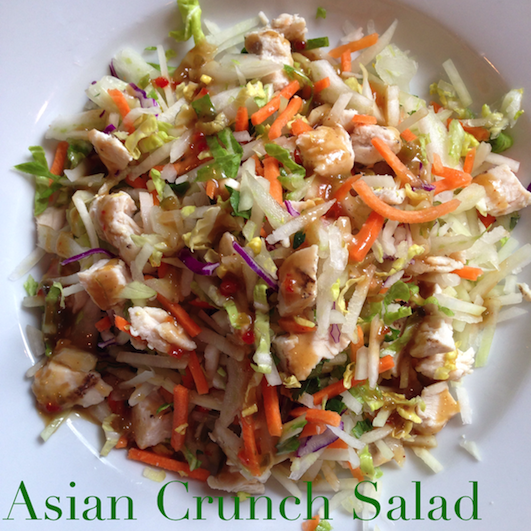 I do love salads because they're so easy to put together and this Asian Crunch Salad is super delicious! Toss all together with your choice of asian style dressing. One of my favorites is the spicy peanut vinaigrette from Trader Joes. It would also taste great if you added matchstick cucumbers, avocado, bell peppers, and/or mandarin oranges.